Good morning ... Last month, I mentioned a gender reveal party that went wrong, sparking a wildfire that ended up burning thousands of acres in Arizona. Well, good news: Thanks to the Freedom of Information Act, there's video of how the whole thing started. Ethicists and experts are afraid of what comes next, now that Chinese scientist He Jiankui claims to have created the world’s first genetically engineered babies. The big question: Did it happen at all? He has provided no concrete evidence of the births he's claiming to have helped engineer; his university says he's been on leave for months; and some other scientists in the field seem skeptical. But if He is telling the truth, his work raises a host of other questions about the ethics of gene editing and why he chose to handle this project the way he did. He used CRISPR to, as he put it, “close a door” that HIV could have one day traveled through. But there are other ways to protect children from HIV. 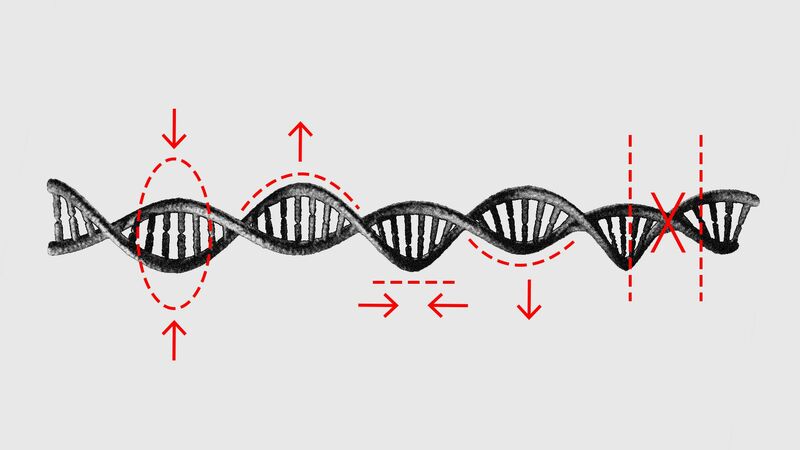 Many scientists thought that gene editing would only be applied to humans when it was clearly the only way to prevent near-term suffering in a baby. That's not the case here, prompting speculation that this project was more about testing the technology than serving an acute medical need. Because He hasn't released any details, it's impossible to know what, exactly, would have gone into a pair of successful pregnancies. "What exactly happened? What are you offering to people?" Berg says. What's next: If the gene-editing threshold has indeed been crossed, Berg says it's only a matter of time until someone tries to get closer to "designer babies." “I wouldn’t say everything in the world has changed now, but it’s certainly the next step," she says. Medicare’s latest proposal to lower prescription drug costs focuses on the program’s “protected classes,” Axios’ Caitlin Owens reports. How it works: Medicare Part D plans must cover every drug in those 6 special classes. But the new proposal would create exemptions from that requirement, under the theory that guaranteed coverage helps keep prices high. Part D plans could require patients to try lower-cost drugs first, even within the protected classes, and some drugs could require prior authorization. Plans could exclude a protected class drug if it's simply a new version of an existing product, or if the price of the drug has increased more than inflation. A similar proposal would apply to drugs administered by a doctor, letting private Medicare Advantage plans insist that patients try the most cost-effective drugs first, under certain circumstances. The other side: Some patient advocacy groups — including the American Cancer Society Cancer Action Network and the AIDS Institute — expressed alarm, saying the proposal would reduce access to medication for patients. The push for safer medical devices has been bubbling for years, and now the FDA may finally take a more critical stance toward the industry, my colleague Bob Herman reports. Driving the news: One day after a wide-ranging investigation — led by the International Consortium of Investigative Journalists and dozens of other media outlets — highlighted how breast implants, heart valves and other devices have harmed people due to lax or nonexistent safety standards, the FDA said it would change how some products get cleared for sale. Many companies push their products through an approval process called 510(k) — a middle ground between life-saving devices and basic equipment that poses no harm. 4 out of 5 devices get cleared through 510(k), in which they have to show they are “substantially equivalent” to older devices that are already on the market. But the FDA is proposing to require newer devices to “be compared to the benefits and risks of more modern technology” — specifically, to a device that is no more than 10 years old. The bottom line: The FDA’s plans for more rigorous clearance standards won’t eliminate every loophole. However, the agency is publicly recognizing that many manufacturers have sold new products with minimal clinical testing, and that is a bar that may be too low for patient safety. Air ambulances can cost tens of thousands of dollars, and often don't provide an explanation of why they're medically necessary when there are ground options available, CNN reports. By the numbers: Almost 50 million Americans didn't live within an hour of a level 1 or 2 trauma center as of 2005, and rural hospitals have closed in droves since then. Air ambulances have filled that gap, growing dramatically just in the past few years. Their price tags keep growing, too — the median cost of an airlift is now about $30,000, per CNN. Like ground ambulances, air ambulances are a favorite of private-equity firms. Speaking of high-priced health care services that are often owned by private-equity firms: Wall Street has also developed a poor track record with the nursing homes it runs. A Washington Post investigation found a staggering annual increase in safety violations at ManorCare, the country's second-biggest chain of nursing homes, once it came under the management of the Carlyle Group. The Post found a sharp increase in citations for "among other things, neither preventing nor treating bed sores; medication errors; not providing proper care for people who need special services such as injections, colostomies and prostheses; and not assisting patients with eating and personal hygiene." Violations began to increase after the Carlyle Group engineered a 2011 transaction in which ManorCare sold most of its real estate, then agreed to pay rent to the new owners. That deal netted investors more than $1 billion, the Post reports, but the nursing homes were left with financial obligations they couldn't meet. ManorCare company declared bankruptcy earlier this year. "They’re all bankers and investment people. We had some very tough conversations where they did not know a thing about this business at all," one ManorCare consultant told the Post.